Slouchie loose fitting corduroy trousers. 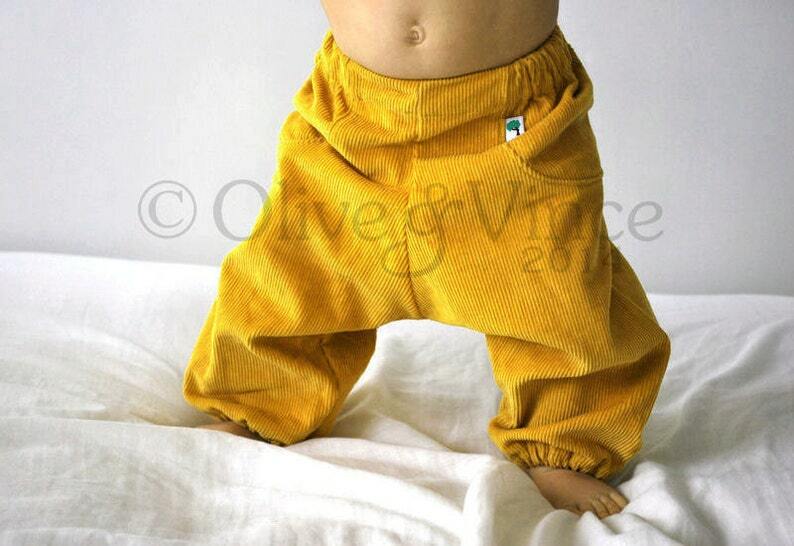 Perfect design for cloth bottom babies. Elasticated at waist and ankle. Please see the last image of this listing for other corduroy fabric options.